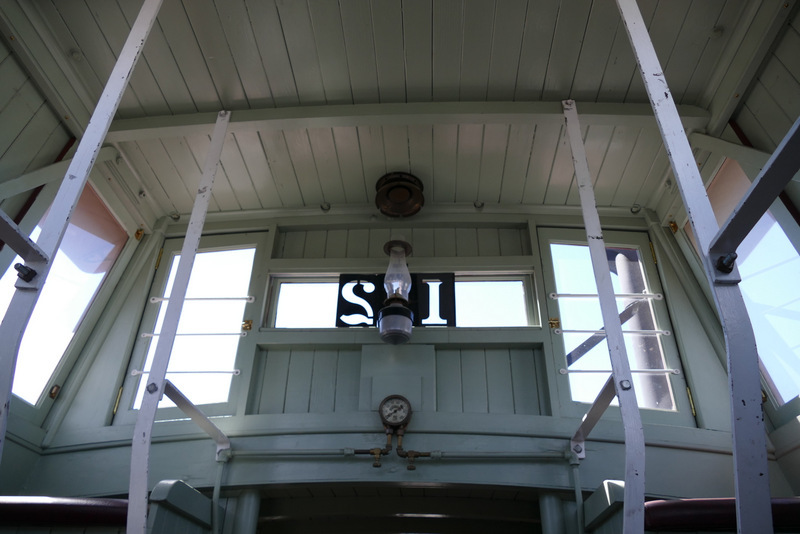 I wrote last fall about blundering onto one of Petaluma’s railroad aficionados named Steve while i was out photographing the new Haystack Landing drawbridge and how he let me know that the railroad swing drawbridge at the mouth of the Petaluma River was still in operation, which led to a significant improvement in the “Bridges of the Petaluma River” photo essay. 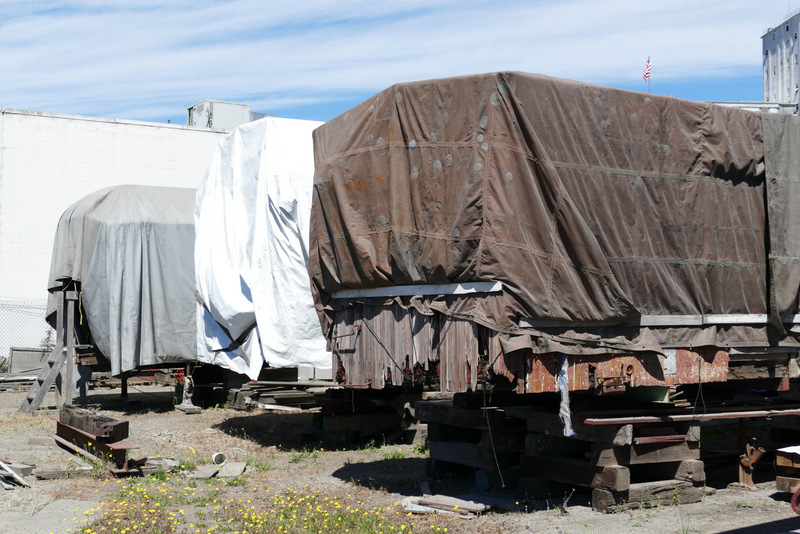 He also told me that he and a pack of other railroad buffs met on alternate Saturdays in the lot on East Washington Street between Baylis and Copeland to work on the old railroad cars there. These dedicated men network with others of their kind and scour the nation for restorable cars and for cars beyond restoration that might be cannibalized for parts. Finally got around to visiting them. 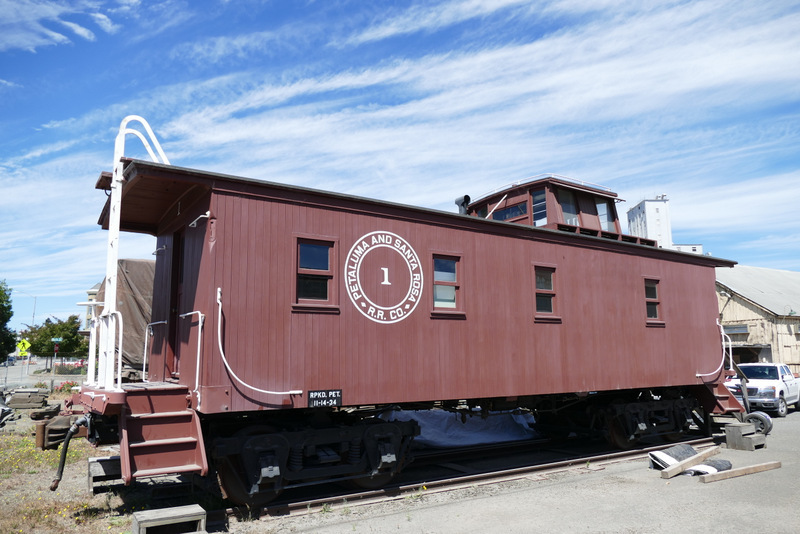 They’re the Northwestern Pacific Railroad Historical Society and have finished restoration of two cabooses, NWP Caboose #13, completed in 2003 and currently housed in Willits, and PS&R Caboose #1, completed last year and on display here. 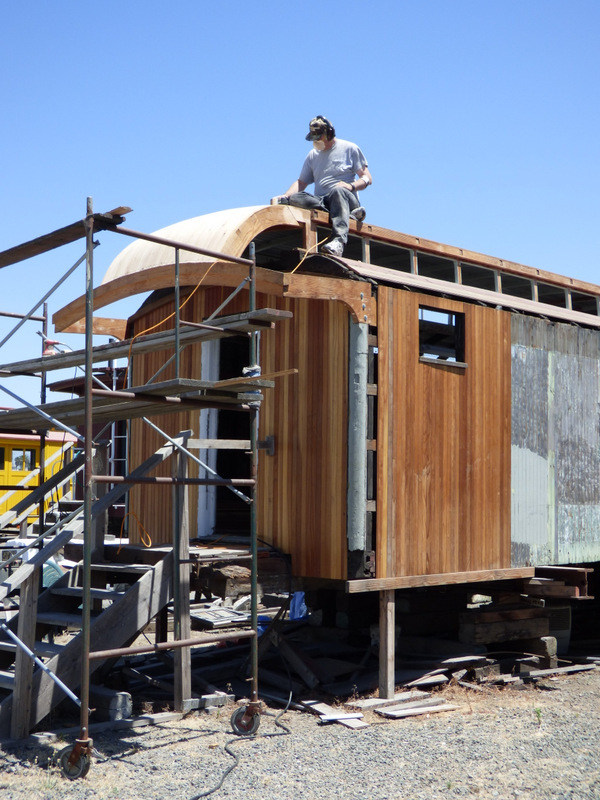 I say restoration was completed last year as if restoration can ever be truly complete since if you’re lucky you keep running into precious old components moldering unloved in a barn or field. 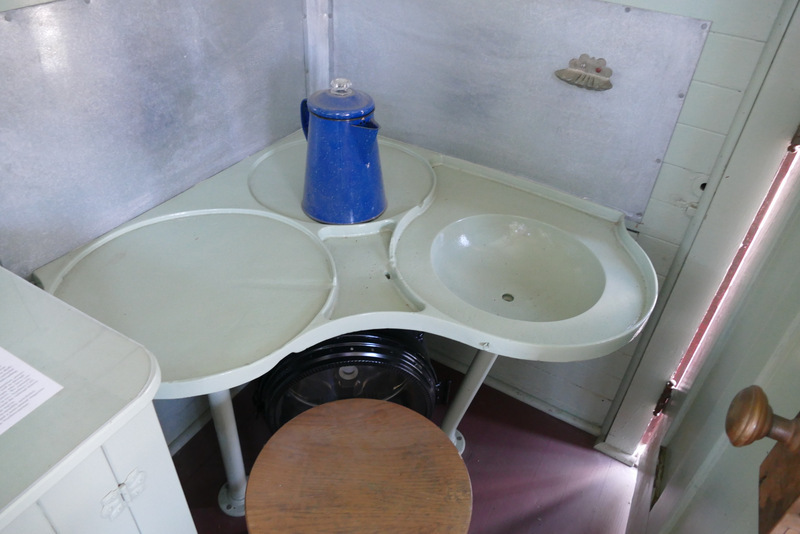 Like for example this iron corner sink for which there is some evidence that it was originally installed in this very caboose. They are currently working on two other cars. NWP Coach #123, pieced together from two cars, the lower portions trucked in from Baltimore. Work has barely begun on this one. 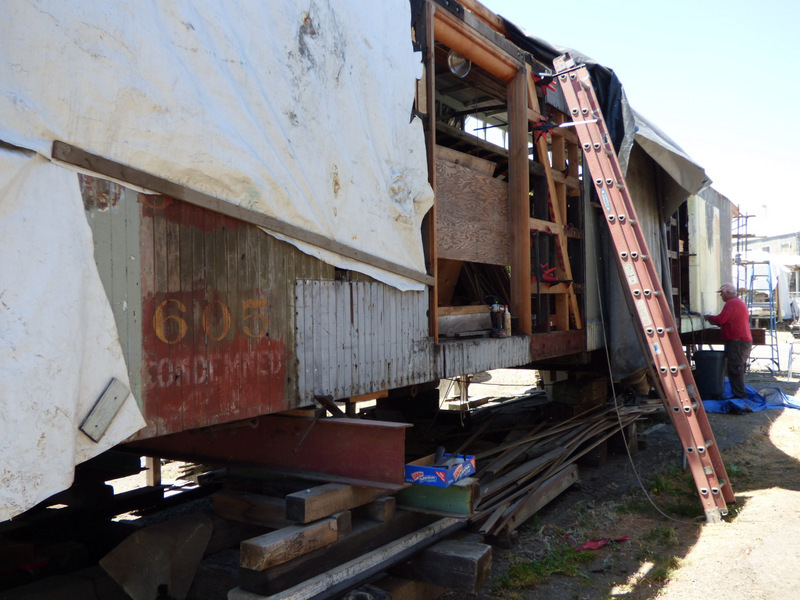 And NWP Baggage #605, on which considerable progress is being made. Stop by some alternate Saturday. Or just click on their link and send ’em a donation. Very cool! Thanks for sharing, Matte. It had been so long since i’d posted that i rushed that one and did not do justice to those railroaders. Amazing group of men whose efforts i applaud. Good account of their progress. 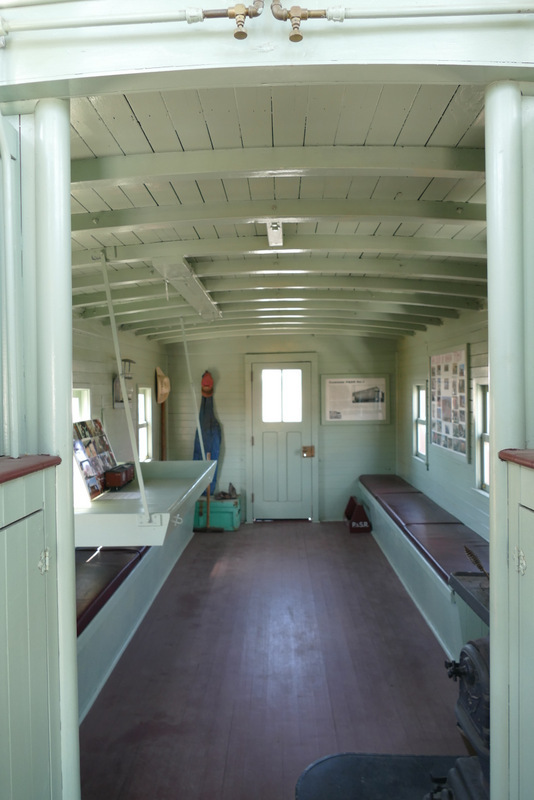 Love caboose #1. My photos don’t do it justice. It’s exquisite.